The number of FTP accounts you can create depends on the Doteasy web hosting plan you’re on. 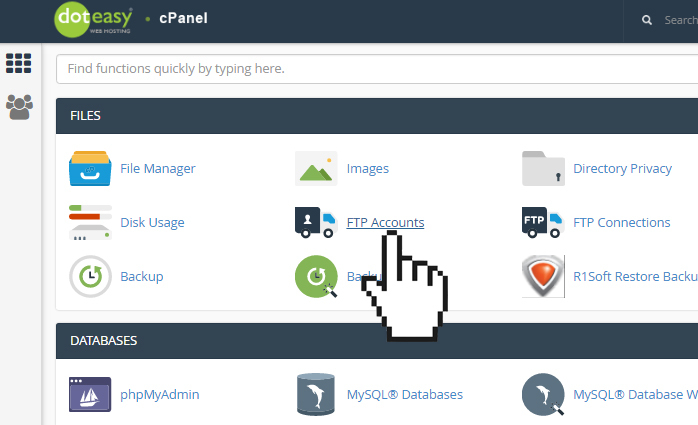 Click on FTP Accounts in the Files section in cPanel. In the Add FTP Account section, fill in the fields as required. Log In Enter the username you want to use. The username you’ve entered will be combined with your domain name to create the full username. Password Enter a password for the FTP account. 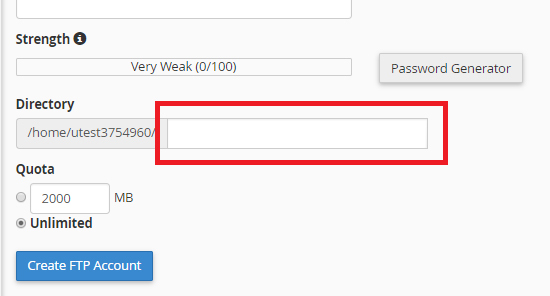 You can use the Strength indicator to gauge the strength of your password. If you need help creating a secure password, you can use the Password Generator button to auto-generate a password. Quota You can limit the amount of space an FTP user can have. When ready, click Create FTP Account. The Directory field defines the new FTP account’s top level of directory access. 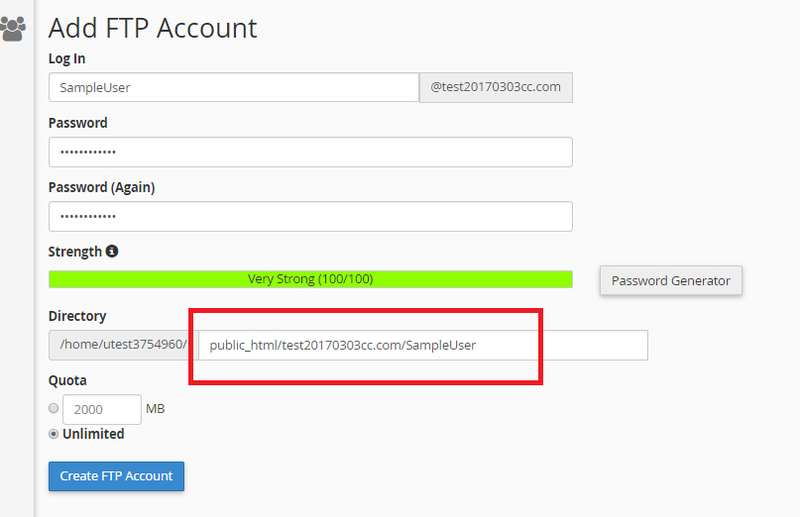 When you create the FTP account, the system will auto-generate a user folder using the username you’ve entered. This user folder will be used as the default directory for the FTP account. 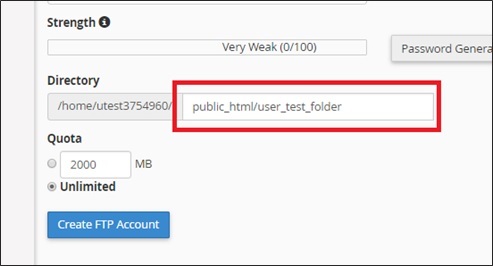 If you want to restrict access to a specific folder, say the User Test folder, then you will enter public_html/user_test_folder. 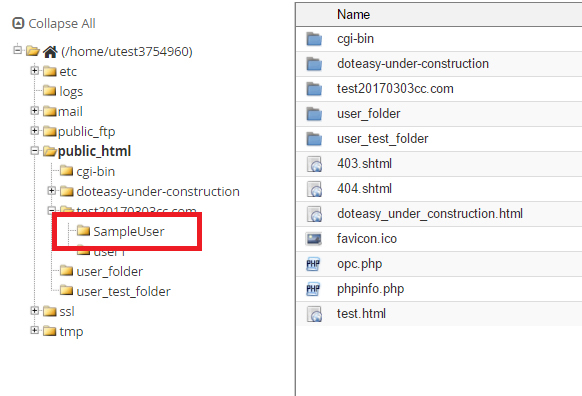 This will allow the user to upload and download directly to the User Test folder only. 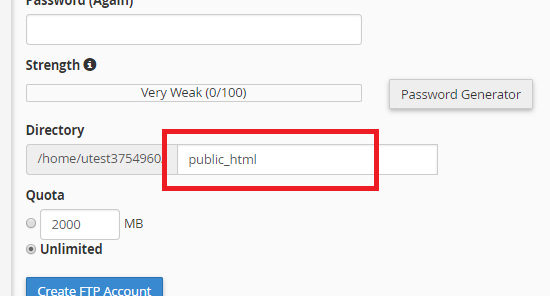 If you want to limit access to just the public_html folder, then you will enter public_html. 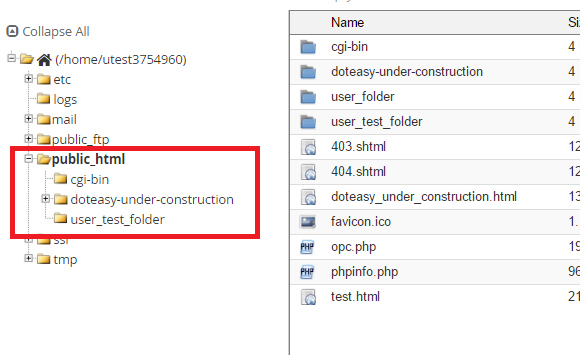 This will allow you user to upload files to anywhere within the public_html directory. 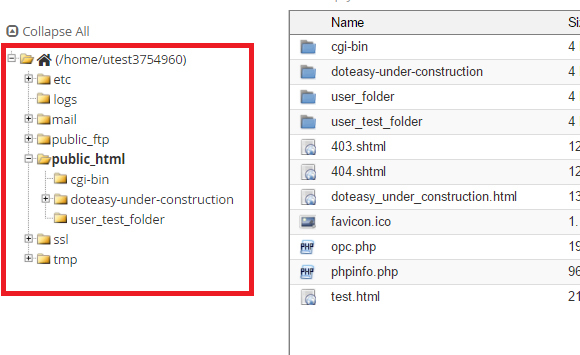 NOTE: the /public_html is the root directory where all website content is located. If you want to give full, unlimited access, then you can simply leave the Directory field blank. 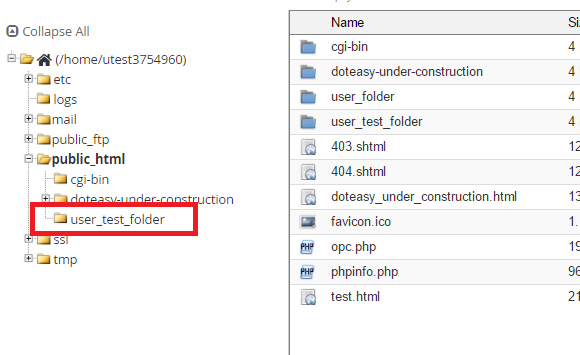 This will allow your user to access all files and folders on your server.